So you have your accounting degree and you are looking to start your own business. How will your degree be useful? Is opening your own business the right decision for you? This article will discuss the benefits of having an accounting degree, instead of a finance degree, highlight the potential risks involved with starting your own business and provide suggestions on how to give yourself the best chance at success. Any person can have a great idea, but it takes specialized financial knowledge to start and run a successful business. That is where your accounting degree provides an advantage. Having the knowledge of tax laws, and being able to budget, will be very useful as an entrepreneur. This will improve your chances of success, as many first time businesses fail due to owner’s lack of financial discipline. Naturally, there are always risks always associated with starting a new business. Perhaps, most worrisome for any individual is the financial investment involved. Starting your own bootstrap business is not cheap, and you must make sure to weigh the possible effects on your personal finances. Having an accounting degree will give you an advantage in knowing whether or not your idea is a sound investment. Your degree will also enable you to plan properly prior to starting your business, ensuring your finances will be in order for such a large investment. Pursuing an entrepreneurial career with your accounting degree requires you to do a lot of work. That work can be dull for those that are not passionate about it. You may think “hey, I want to sell my idea,” but this is not as easy and exciting as it may seem. This is particularly true for entrepreneurs, who tend to be lively people seeking an entrepreneurial career that affords them a ton of change, risk, challenges and unpredictability. Accounting work is boring. The process you undertake to put your accounting degree to use at your own business will be even more boring. This can be a serious downside to getting an accounting degree to start your own business. It can cause even the most passionate people to give up their hopes of accounting entrepreneurship. Just keep this in mind. As long as you are driven, dedicated, responsible and mature, the dull work of accounting entrepreneurship, which is certainly a downside, will not deter you from pursuing your goals of self-employment. Another risk associated with start-ups is one that unfortunately no degree will prepare you for. Opening your own business poses some risk to your personal life, as it is such a time consuming venture. You will need to work round the clock in the early stages to ensure that all aspects of your business are thriving. This will take up most of your time. You will never be off the clock. Understandably, these factoring rules may have a negative impact on your personal relationships. It is important to assess this risk before starting your venture, especially if you are married or have a family. Maybe you have assessed these risks and concluded that the payoff will be worth it. Great! Now it is important to completely prepare yourself to give your business the best shot at not only surviving, but thriving. A great first step is to take a business class or two at your local community college. These classes can broaden your knowledge beyond the financial spectrum and assist you in running a successful business. You may also be fortunate enough to have a professor who can provide you with valuable personal insight that he or she has accumulated over their years in business. If you are looking to become a CPA and work at the top accounting firms (or open your own), you may want to get your masters in accounting. No matter where you are located in the world, there is sure to be a top masters in accounting program located nearby. If you live in New York, you are especially in luck. 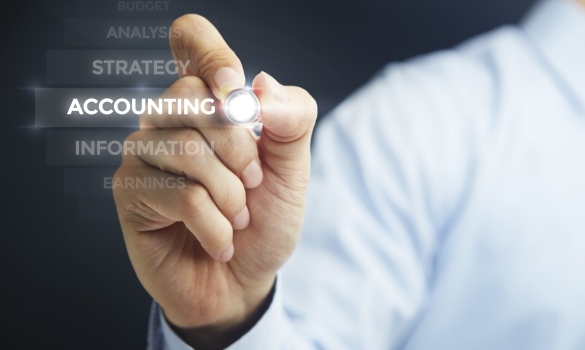 New York offers some of the best masters programs for accounting, here are the top three. If you are located in or around New York City, you have access to some of the best accounting degree programs available. Consider the top three listed above if you want to start an accounting business built for success. If you have an accounting degree and are thinking of starting your own business, consider the risks involved. Your accounting degree can prove useful in lessening some of the financial risks, but the personal risk is still very great. This is especially true if you do not even know the answer to the question “what is a franchise?” If you have decided that opening your own business is the right choice for you, remember to consider taking some classes in business to provide you the best chance at succeeding in your venture.